Charlie’s no fuss, no muss style is perfect for the budding chef or artist that just can’t sit still long enough to deal with buttons or ties. 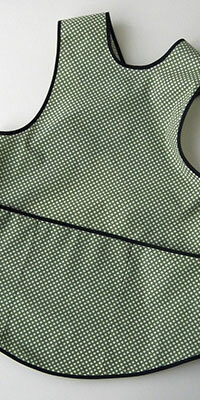 A built-in front pocket divided into three provides a place for wooden spoons, marbles or hands. And whether it’s from flour and eggs or glitter and glue Charlie will protect play clothes. Fits children size 3-5. 100% Cotton. 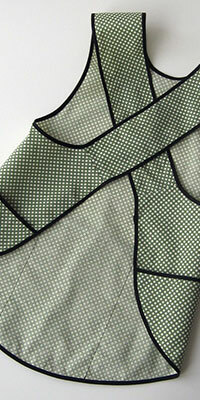 Charlie Apron in Green Checker Fabric.